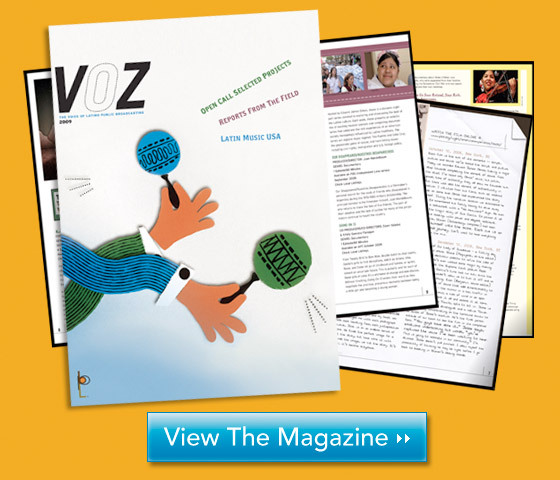 VOZ, the official magazine of Latino Public Broadcasting, covers the world of public television and independent film. Are you interested in learning about the latest LPB programs? Where are the top producers taking the medium? What are the latest funded projects? Find out about the latest workshops and seminars. Voz�s readers include the public television executives, TV programmers, foundations, distributors, buyers, independent producers and the Latino community at large. If you would like to be informed on how we continue to bring Latino stories to your screen please sign up to be added to our mailing list.